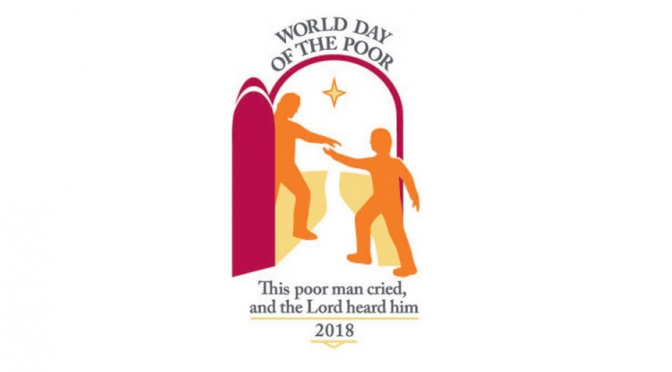 World Day of the Poor – 5 weeks to go! “This poor man cried, and the Lord heard him” (Ps34:6). The words of the Psalmist become our own whenever we are called to encounter the different conditions of suffering and marginalization experienced by so many of our brothers and sisters whom we are accustomed to label generically as “the poor”. The Psalmist is not alien to suffering; quite the contrary. He has a direct experience of poverty and yet transforms it into a song of praise and thanksgiving to the Lord. Psalm 34 allows us today, surrounded as we are by many different forms of poverty, to know those who are truly poor. It enables us to open our eyes to them, to hear their cry and to recognize their needs. Resources are available for use in dioceses, parishes or groups.